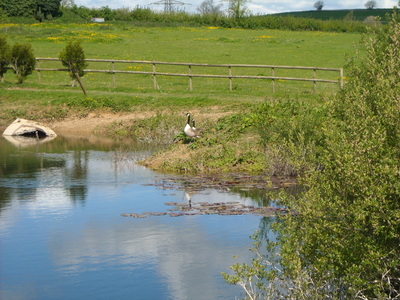 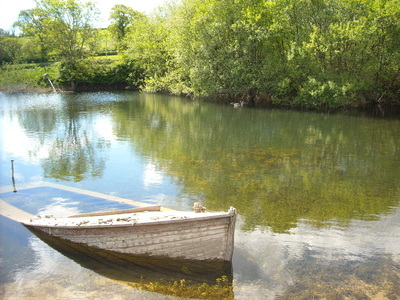 Canada Geese at Hemsford yurt camp 2014 - DEVON YURTS Glamping in Style! 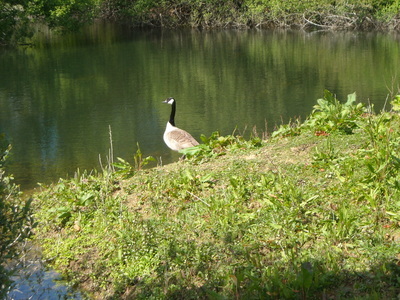 Every year in the 15 years we have lived here, our lake becomes the home of Canada Geese for part of the year. 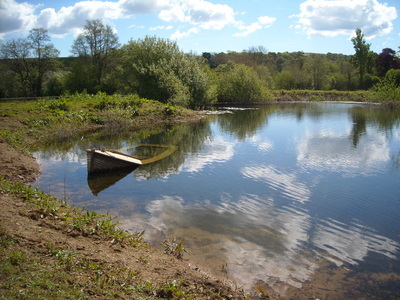 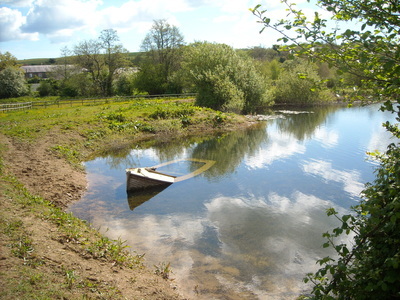 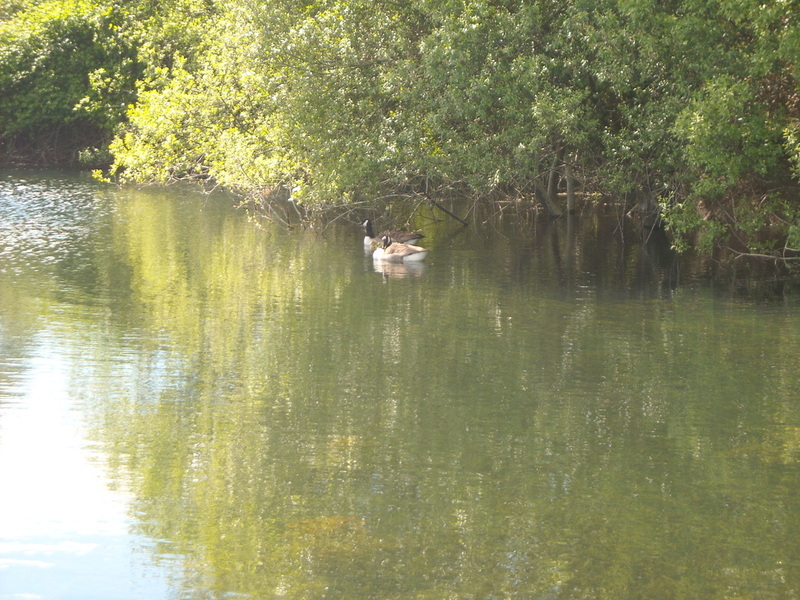 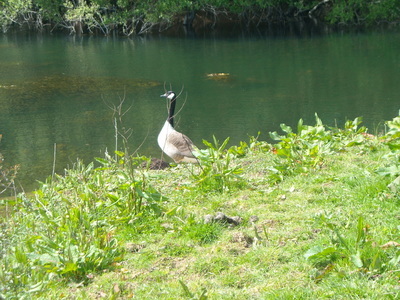 The geese arrive in February and will leave again around August when their young become fully fledged. 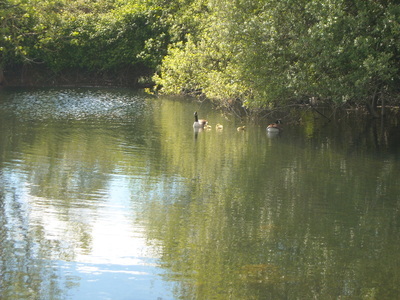 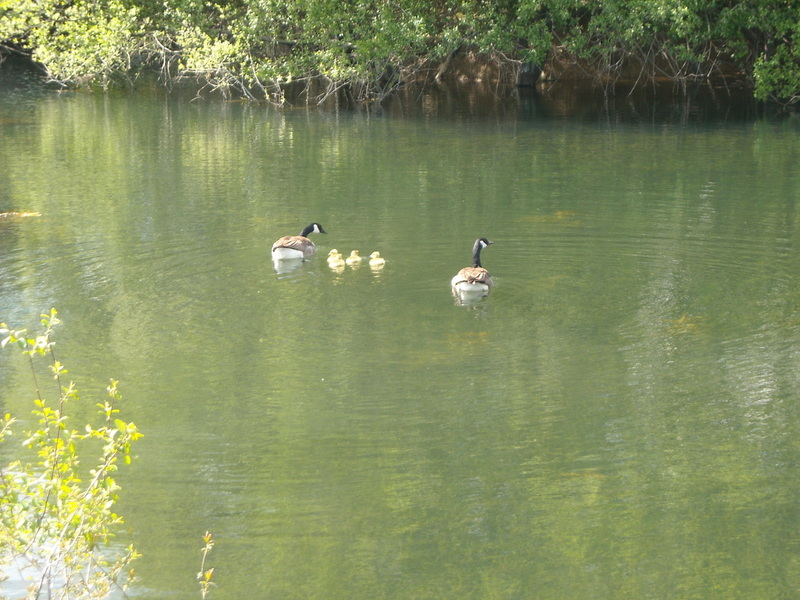 This year the resident pair have hatched 4 goslings and the pictures below show the newly hatched goslings with their parents. 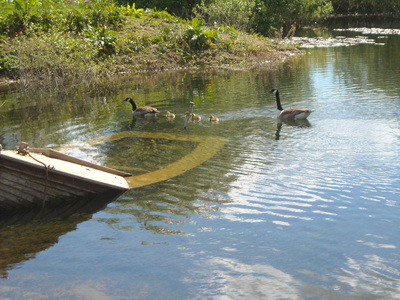 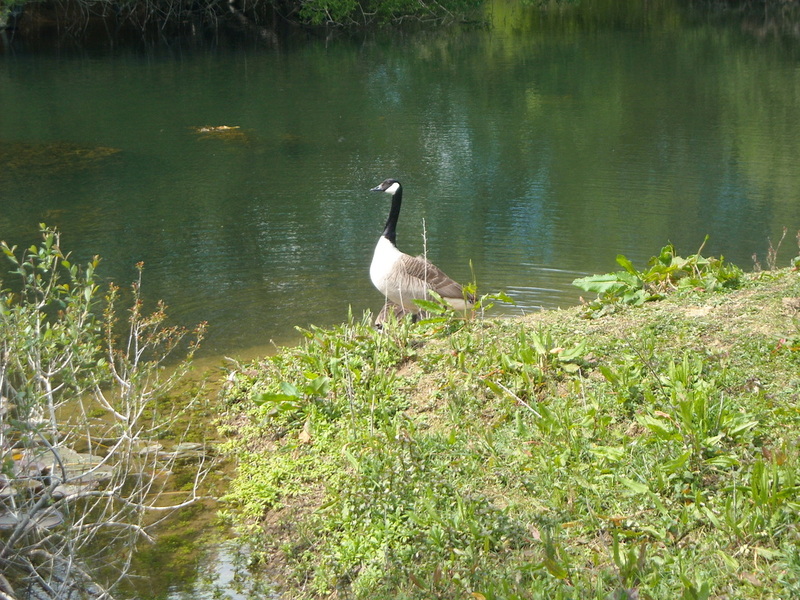 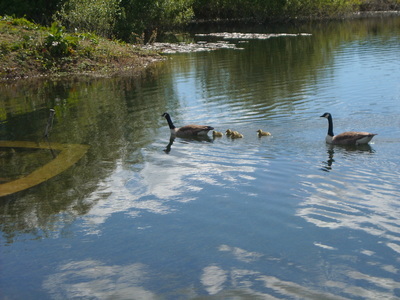 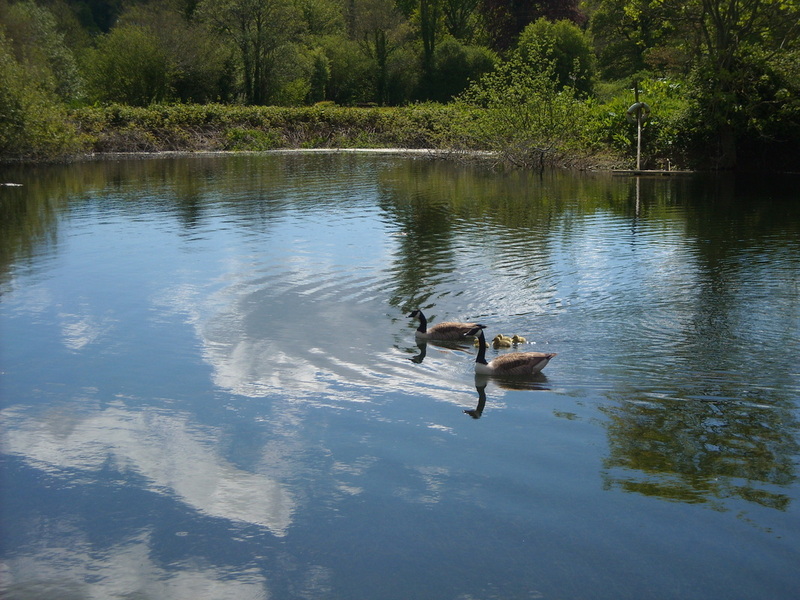 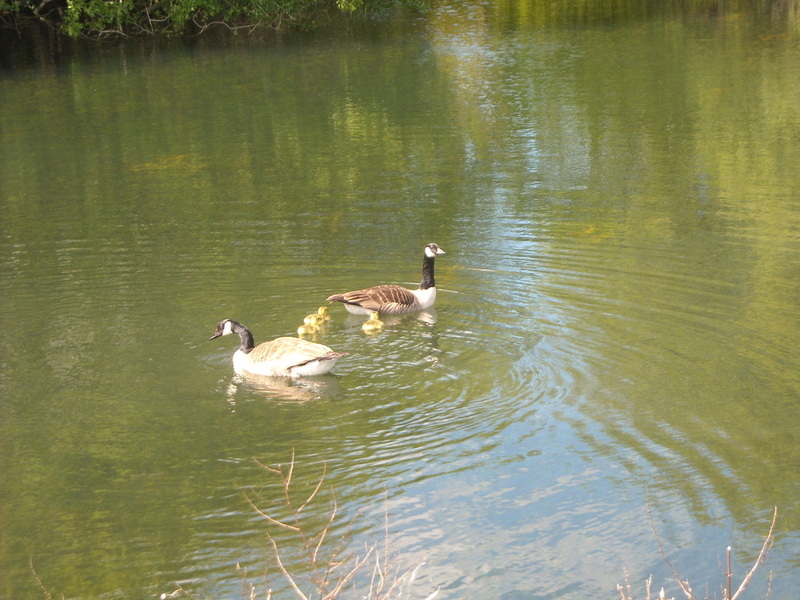 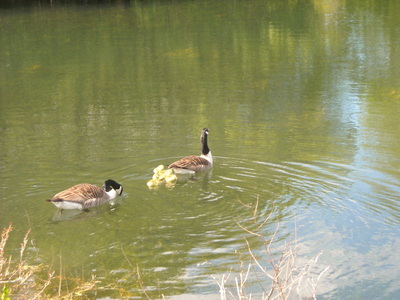 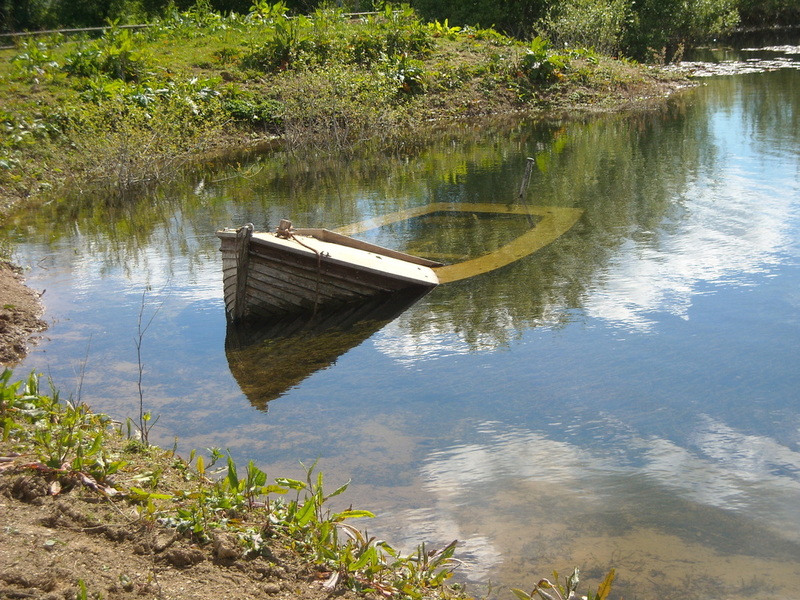 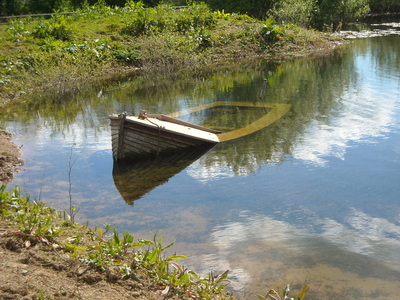 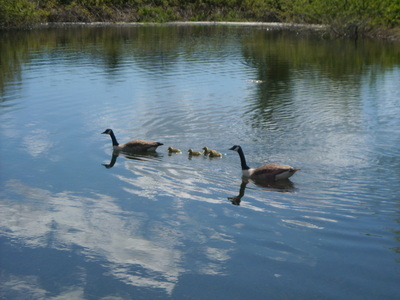 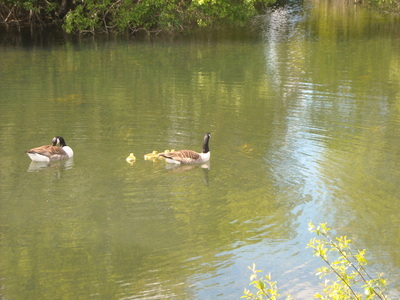 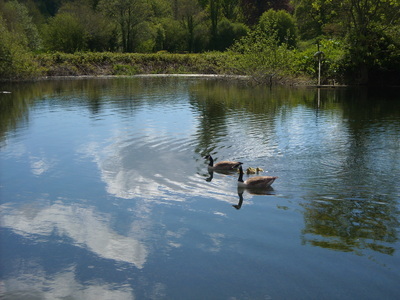 The Geese are highly protective of their young and the young are independent from hatching. 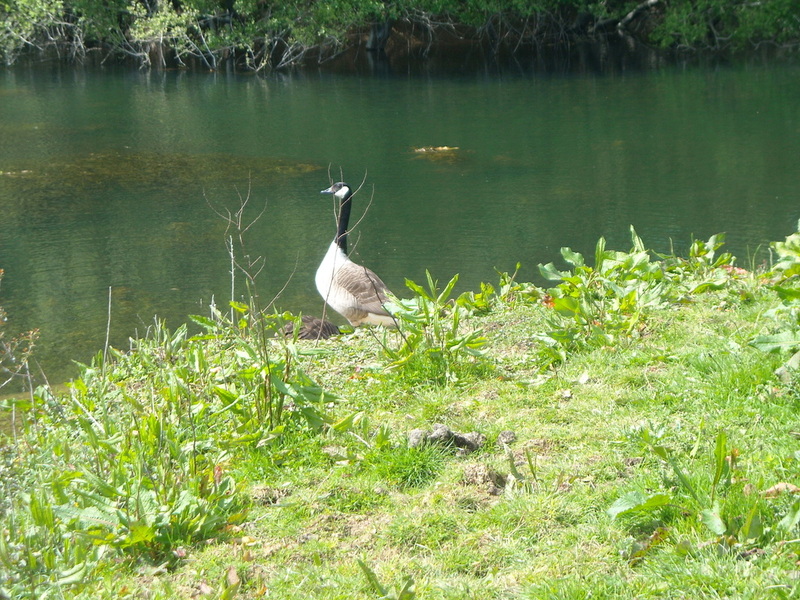 Canada Geese are grazers and can consume up to 2lbs of grass in a day, so to many farmers are considered a pest, however we enjoy seeing them and their yearly ritual of raising their brood.